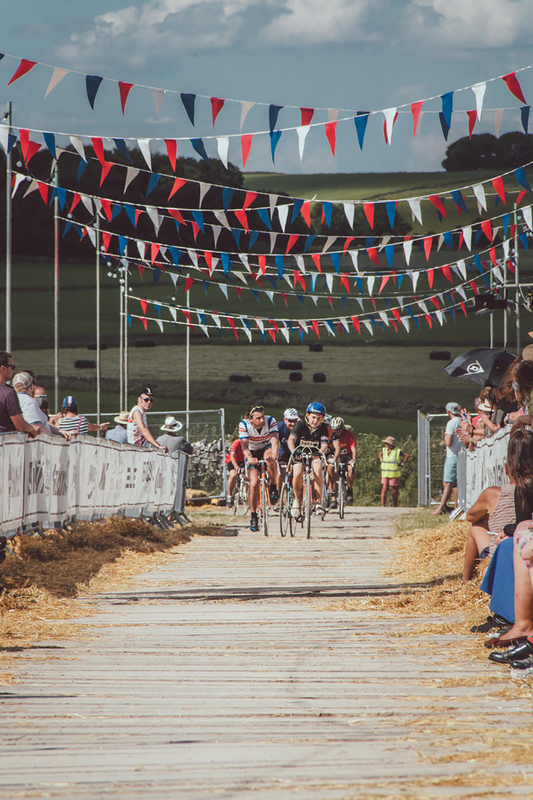 FAMED champion of the Peak District’s historic territories and expansive landscapes, big beautiful vistas and the joy of adventure by bike – Eroica Britannia (June 15-18, 2018) is gearing up for its demi-decade of celebrating all things vintage in the heart of the English countryside. 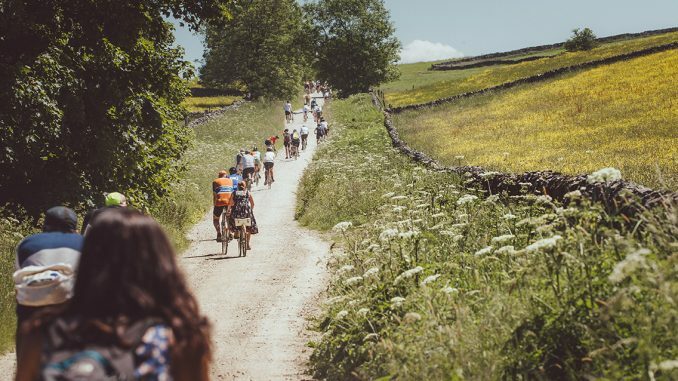 The Ride, which plunges riders as far as 100-mile radius of the start-line into both wilderness and village life, will have seen riders collectively clocking up a million miles ridden in the Peak District since its inception back in 2013. 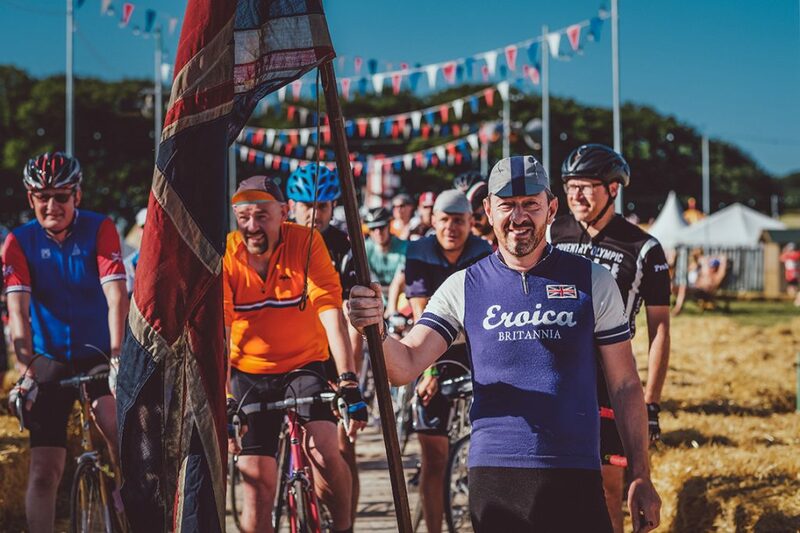 For the uninitiated, Eroica Britannia is about as much fun as you can possible have riding a vintage bike while tackling gravel roads and enjoying the most sumptuous feed stops that you’ll ever have the pleasure of sampling. 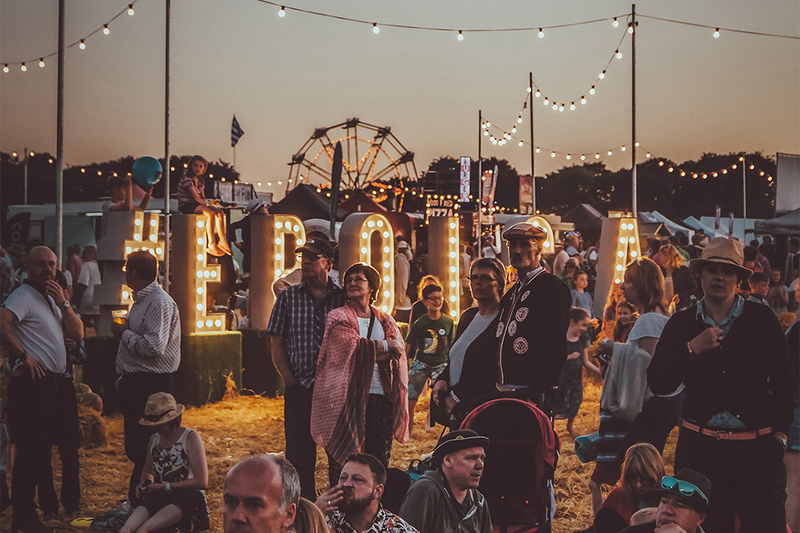 The world-famous three-day family festival is a magical and as unusual as its name suggests and once again it is putting down roots for the fifth consecutive year in The Peak District. Nestled among 100 acres of wild vistas, big skies and romantic woodlands, this year means friends, families and kids roam wild and free living a quintessentially British ‘lord and lady of the Grange’ life, where freedom and a life more outdoors is the rule of the weekend. Enjoy unlimited roaming rights calling through twinkly campfire woodlands into posh British boozers for arm-wrestling, darts and a quick nip before the cinema. Pass through The Adventure Kids Club, busily Blyton-esque in getting back to nature with a boisterous weekend of campfire craft, den building and stargazing. 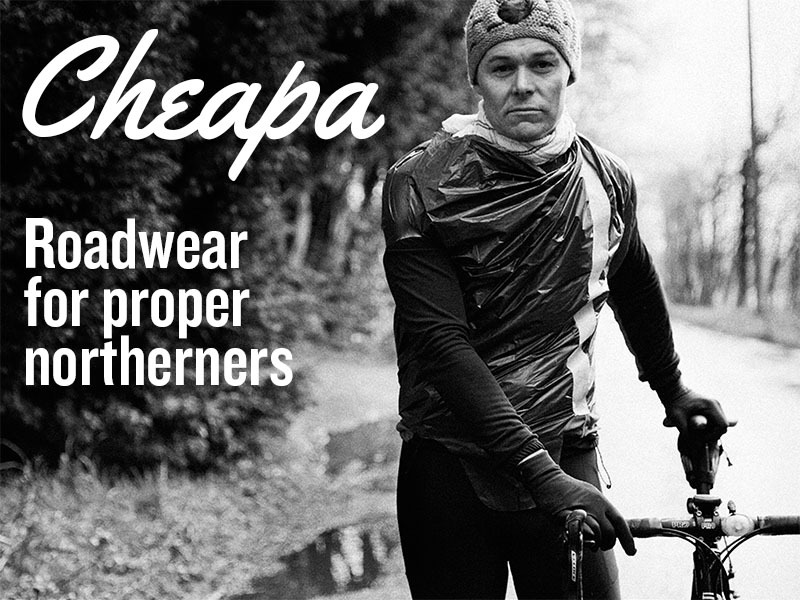 Continue onwards through British gin bars, snack-a-terias, award-winning ‘eating out-(side) hangouts’ in the Grazing Fields, The British Bazaar and vintage emporiums packed with the best of British and marvel at the main stars of the show – 4,500 Riders anticipating ‘The World’s Most Handsome Bike Ride’, as they sweep through the festival with easy-on-the-eye tandems, eye-watering penny farthings and good time girls and guys on retro steeds posing, preening, steeling up to prepare for the challenge ahead. Friday night sees the first major ride set off from the festival in the warm summer dusk. The Twilight Ride takes riders on a sensory adventure down the High Peak Trail, where it will follow the line of the former Cromford and High Peak Railway. Meanwhile, Saturday sees hundreds of families taking part in the family ride and compete for top prizes in ‘Best in Show’ before Saturday night sees sartorially stylish crowds come together for an enormous guided community get-together as The Great British Barn Dance hosted at The Timber Barn. If that’s not enough, the main event of the weekend – the classic ride featuring retro pre-1987 road bikes with matching heritage threads – sets off early on Sunday, June 17, for a sensory plunge into rural exploration of more than 30-miles for families and pub crawlers, as well as the stiff upper lip inducing challenges of 60 and 100 miles of pure great Britishness. Food and rest stops are the ultimate showcase of local produce and each route quenches thirst with Bakewell brew, Thornbridge beer. New for this year is the 30-mile route, which is more family friendly. Meanwhile, the 60-mile route has been tweaked from previous incarnations and now includes a huge 41 per cent of white roads travel. 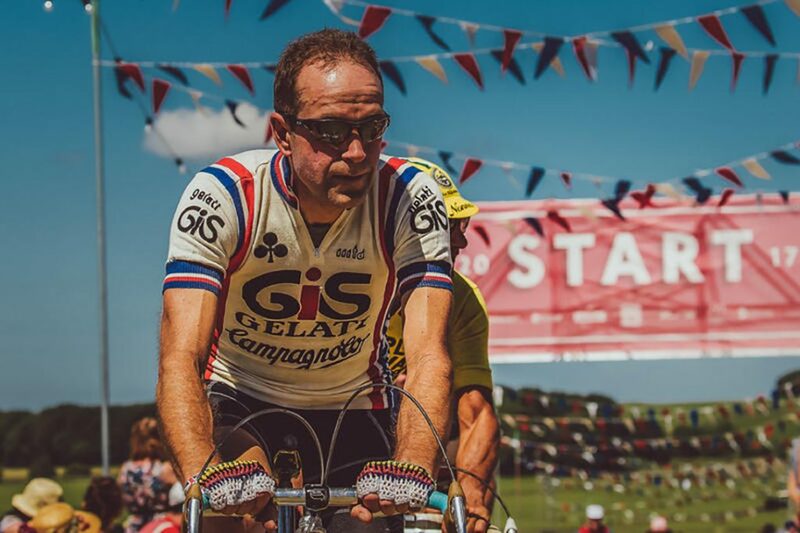 The new route gives much more trail experience than previous years and is perfect for lovers of traditional Italian L’Eroica. The words “the most sumptuous feed stops that you’ll ever have the pleasure of sampling” may be optimistic. Last year was my second Eroica ride and the “food” consisted of a banana and a paper bag containing a small piece of cake, a few sweets and a ball of dried out mashed potato in a 2″ diameter pastry case (which was claimed to be a “local delicacy”). This was at the first water stop for over 25 miles (when the ride was in heat-wave conditions). I hope the organisers have had the sense to learn from this and return to real food with an adequate calorie content, as in the previous years. Have been every year since it first started – with the exception of last year due to a heavily pregnant wife – but always found the food stops well stocked with plenty of choice. I do miss the first feed stop being in Hartington, which was just brilliant location being sat right next to the duck pond. Sorry to hear that you didn’t have a great time last year, but we do try to promote only events or items that we have personal experience of.